Climb aboard the starship “Stelloshphere” and meet Miles Callisto, his loving family and his best buddy Merc, a robo-ostrich built for speed, friendship and fun. Tasked by the Tomorrowland Transit Authority with connecting the Interstellar Super Highway, Miles and his tech-savvy sister Loretta are ready for anything – including awesome alien encounters and earthshaking discoveries that celebrate the wonders of outer space. 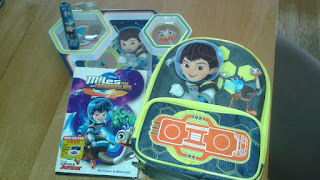 Come join Miles and his family on super-cool, out-of-this-world adventures! We are huge fans of Miles and his awesome adventures. 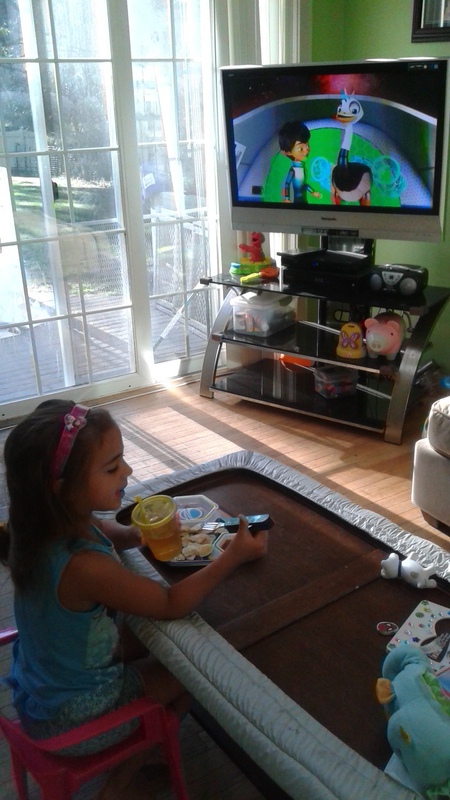 This is one cartoon that I don’t mind my daughter watching as much as she wants. Miles and his family travel the universe helping other space dwellers using science and technology so the family always works together. I love that it promotes team work, problem solving abilities and fun family adventures all in one. 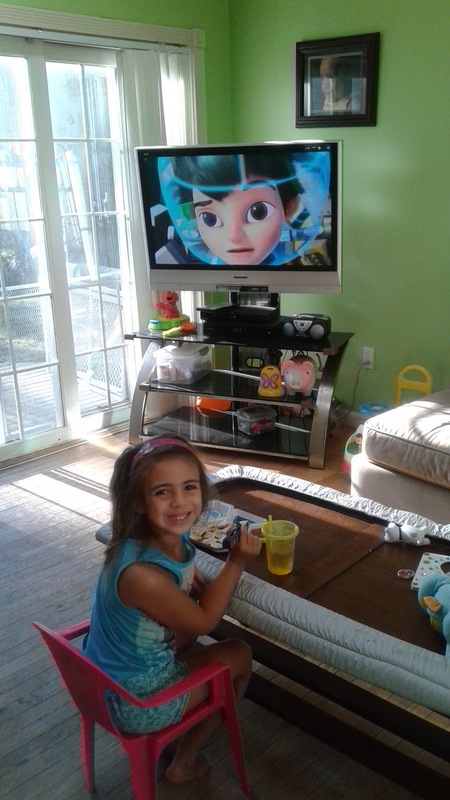 My daughter couldn’t wait for movie night so we watched it during breakfast and lunch – a few times! You never get tired of going on an adventure with the Callisto family. 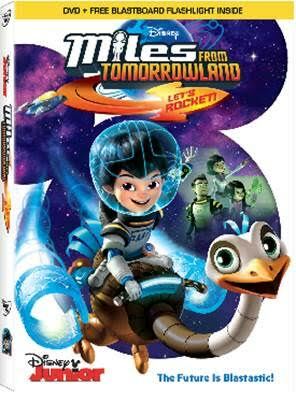 The graphics on the DVD were great and you don’t have to be a kid to love watching Miles From Tomorrowland. Your family is going to love going on these new adventures. You can win your own Miles From Tomorrowland: Let’s Rocket! by entering a Rafflecopter giveaway. The kit is out of this world! As you can see my daughter had an amazing time with her kit. 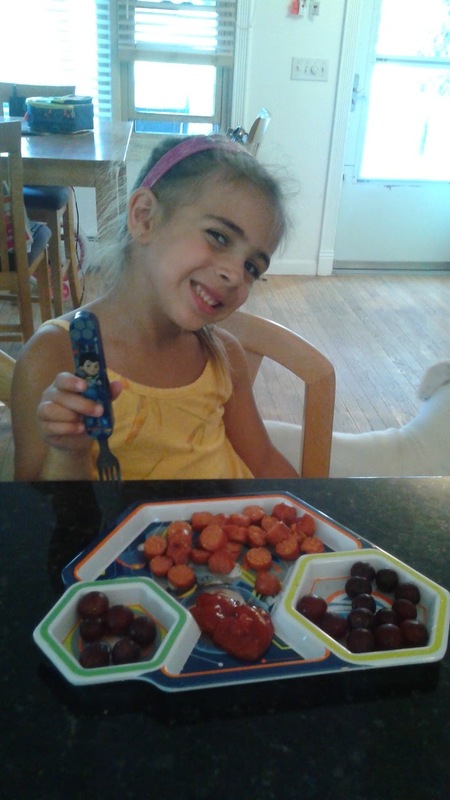 She is now eating all her meals with her plate and fork and loves bringing her snacks to school in her new lunchbox. My daughter and I had so much fun pretending we were in outer space saving some our friends. Kids are so into technology these days so that part was so easy. For us, it was a great lesson in Science and all the cool things you can do.